Please select from the menu on the left to find the page you are interested in, or use the search option located on below the menu on the left. 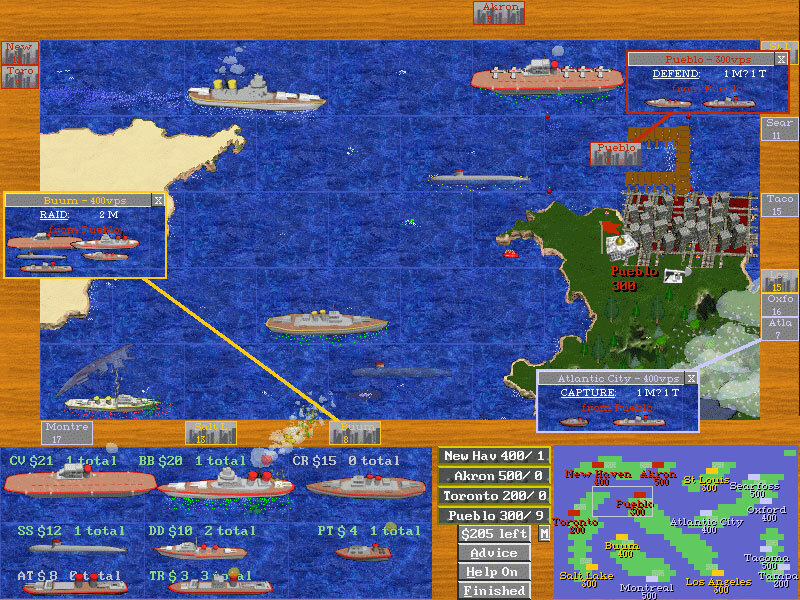 Defeat your enemies in battles by outmaneuvering them for control of coastal cities with battleships, submarines, destroyers, and other types of ships. Enjoy the simple yet deep fun of Lost Admiral Returns. View a more thorough description of the game, or visit the walkthrough. Games can be played out in as little as 20 minutes for small battles. Lost Admiral Returns is a try before you buy game. Download the software and take it for a test drive. Try out the parts of game that excite you the most. Then choose to buy the game based on your enjoyment of the game, and all fun you have battling your friends and family in Lost Admiral Returns. Download the trial now! Buying the game will give you access to all features in the game, along with future updates to game and bonuses like special maps, campaigns, scoring charts and tournaments to compete in. Buy now! Lost Admiral Returns is inspired by the original Lost Admiral game released by Thurston Searfoss with QQP in 1991. 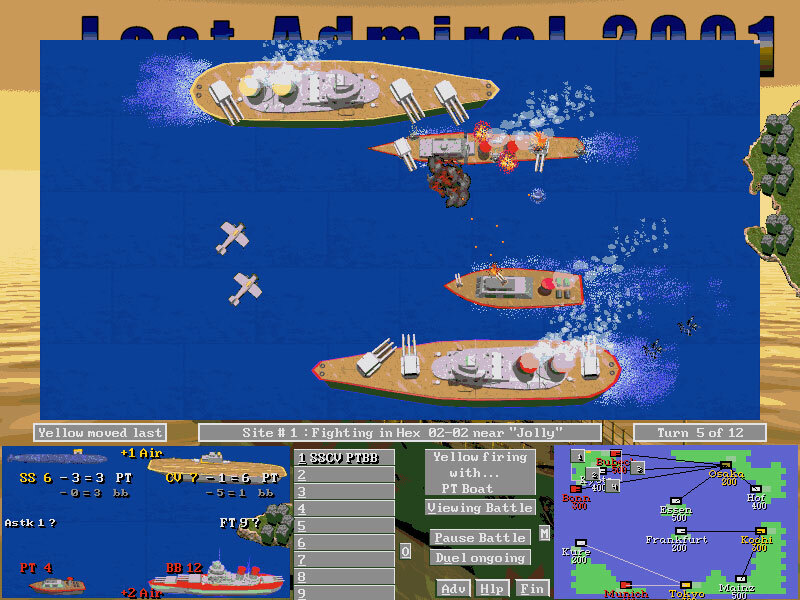 Winning "Strategy Game of the Year" in 1992 from Computer Gaming World Magazine, Lost Admiral is still played today by fans who will soon have the vastly improved Lost Admiral Returns to continue the legacy. Thurston has also created several other games with QQP in the past, including Conquered Kingdoms and Grandest Fleet games. A play test version of Lost Admiral Returns will be available soon! Sign up to be amongst the first people to try the game. Fogstone Games welcomes input from visitors to this website. Visit our forums to discuss the game, find answers to questions, explore variations in the rules, and suggest new ideas and materials. Also, participate in our surveys to help shape the game's future! Lost Admiral Returns makes full use of the Internet. Find other people to play against, share your accomplishments in the game with your friends, and even compete in organized tournaments and earn ratings. These are only a few of the exciting new features found in the game. Sign up to be notified by e-mail of Lost Admiral Returns release or other developments concerning the game. Copyright © Fogstone Games, 2003. All rights reserved.